Better Day is a date complication you'll love to touch. Customize it to show just the information you want†; then tap it to scroll through the 12 months of the year using the Digital Crown. 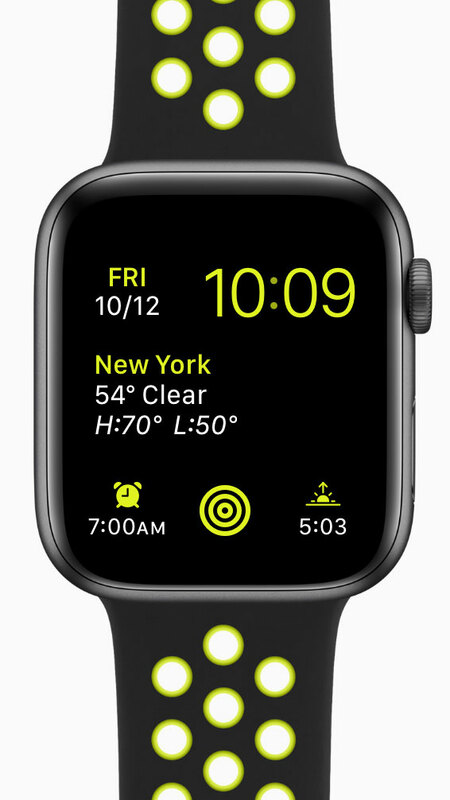 †: Infograph faces are only available on Apple Watch Series 4. These screenshots compile different styles for demonstration purposes; in use, selected style will be used for all matching slots. 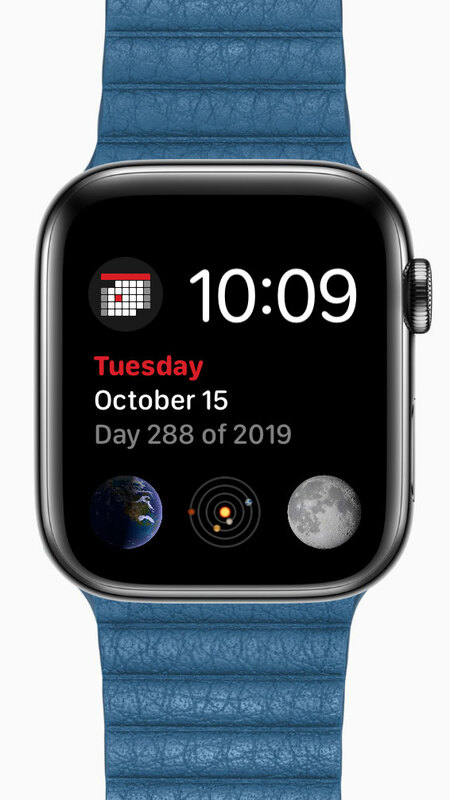 Better Day supports more than 20 languages, covering every country where the Apple Watch is available, and several more where it isn't. Whether you're in Europe, the Americas, the Middle East or Asia, Better Day has you covered. BetterDay supports a wide range of complication styles. In addition to the current month icon, you can choose to display the current month or the current weekday alongside today's date. 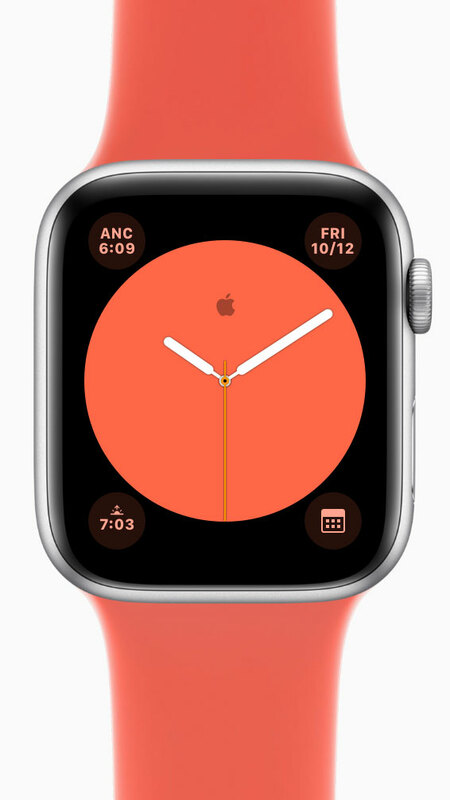 You can also tweak the accent color to match your watch face. Think the calendar starts in January and ends in December? Think again! Better Day supports 11 calendar systems in several different variants, covering civil calendars like Minguo and religious calendars like the Hebrew and Islamic calendars. Apple Watch in Gold Stainless Steel with Blue Horizon Sport Band. Numerals face in Blue Horizon; Better Day in corner complication with weekday, month and day. 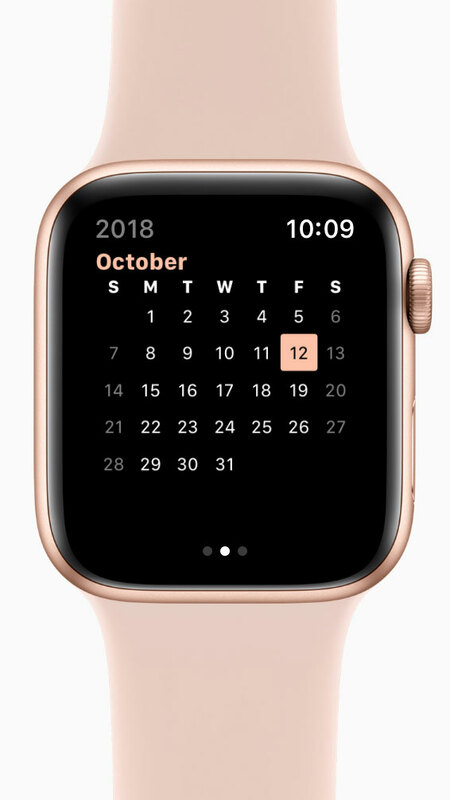 Apple Watch in Gold Aluminum with Pink Sand Sport Band; Better Day calendar in Pink Sand, default configuration. 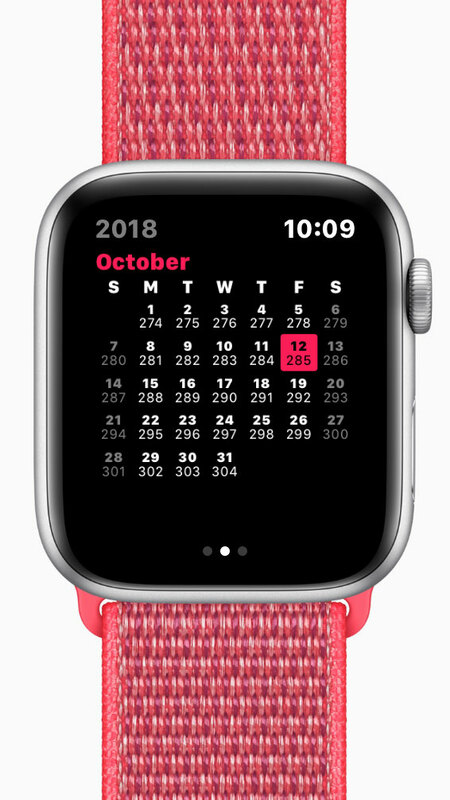 Apple Watch in Silver Aluminum with Hibiscus Sport Loop; Better Day calendar in Hibiscus, day numbers enabled. Bold text option. 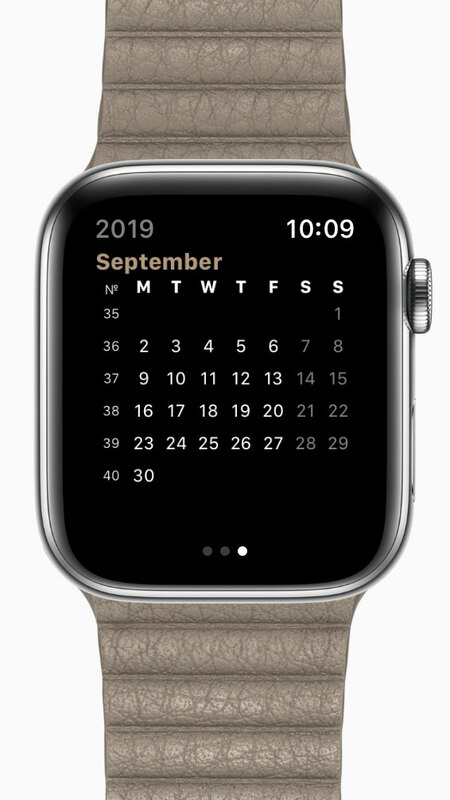 Apple Watch in Stainless Steel with Stone Leather Loop; Better Day calendar in Stone, week numbers enabled. ISO 8601 calendar selected for Monday start. 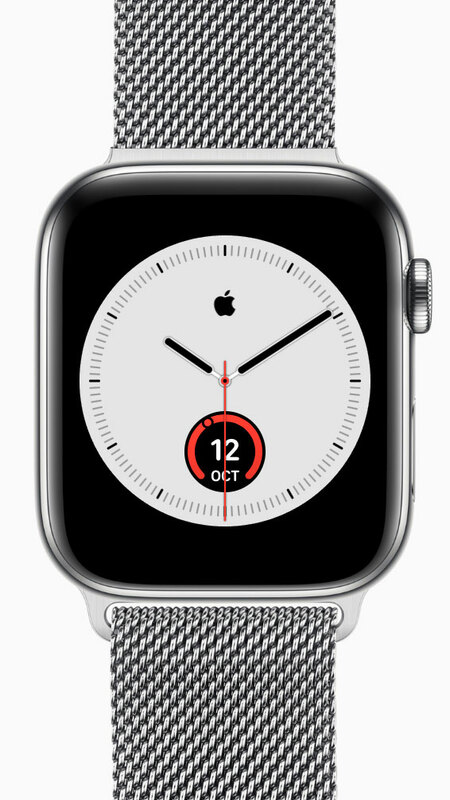 Apple Watch in Stainless Steel with Milanese Loop. 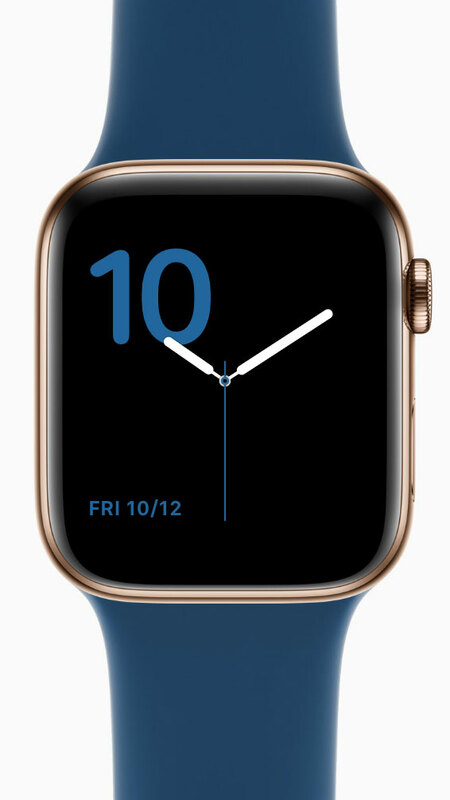 Infograph face with Unicode Apple logo monogram, Better Day month gauge at bottom. 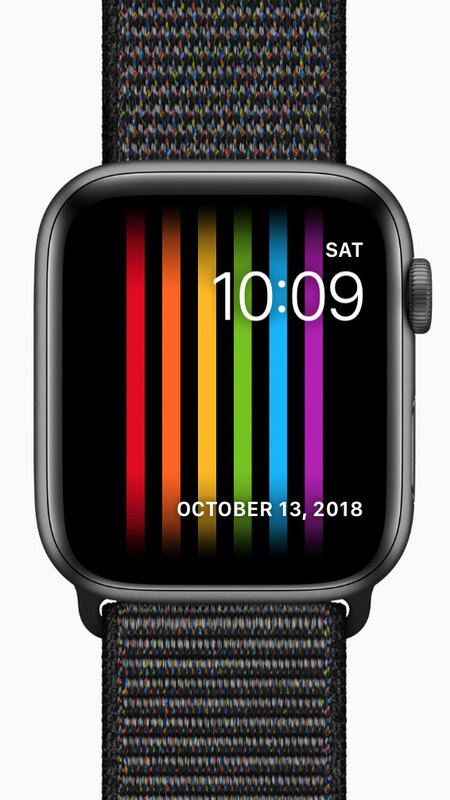 Apple Watch in Space Gray Aluminum with Black/Volt Nike Sport Band. Modular face in Flash; Better Day in top left slot with two-line weekday, month and day. Other complications: Weather, Alarm, Activity, Sunrise/Sunset. Apple Watch in Space Gray Aluminum with Black Sport Loop. Pride face with Better Day in above and below slots; small slot features standalone weekday; large slot features full month, day and year. Apple Watch in Space Black Stainless Steel with Cape Cod Blue Leather Loop. Infograph Modular face with graphical Better Day calendar in top left, and text-based description in centerpiece slot. Accent color: Red. Apple Watch in Stainless Steel with White Sport Loop. Modular face in Multicolor with graphical Better Day calendar in top left, large text-based description in centerpiece. Accent color: Calendar Red. Other complications: Mail, Messages, Find My Friends. Apple Watch in Silver Aluminum with Nectarine Sport Loop; Color face in Nectarine with bold text option and Apple logo monogram. Better Day in top right slot with two-line weekday, month and day. 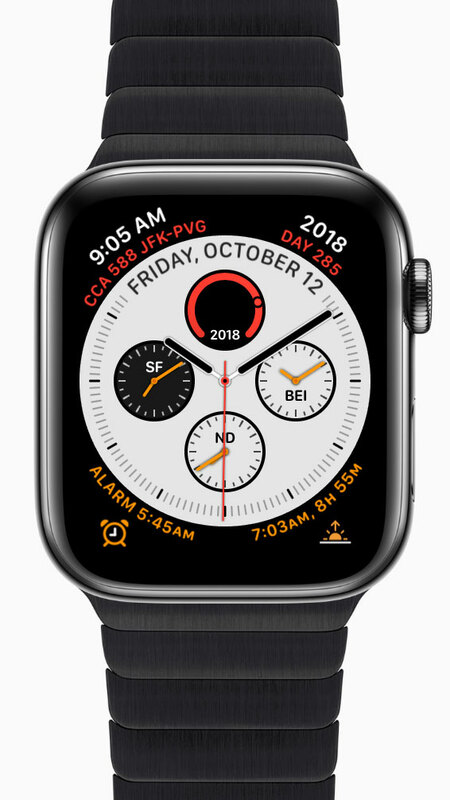 Other complications: World Clock, Sunrise/Sunset, Calendar. 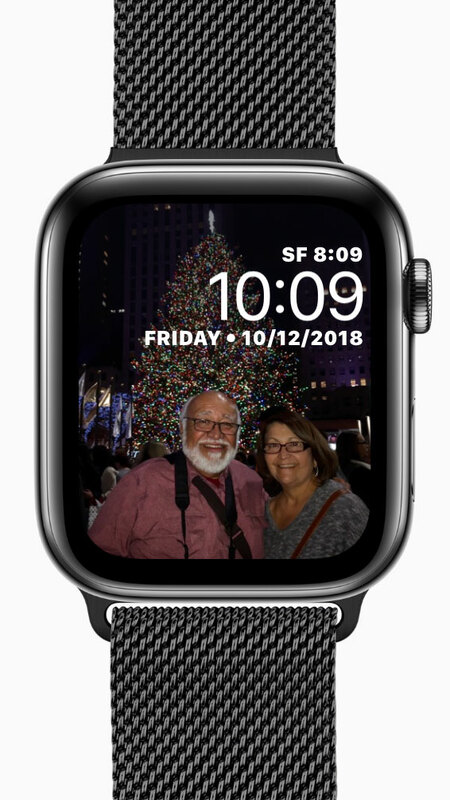 Apple Watch in Space Black Stainless Steel with Space Black Milanese Loop; Photos face with Better Day in large slot below time, featuring weekday and abbreviated month / day / year display. Other complications: World Clock. 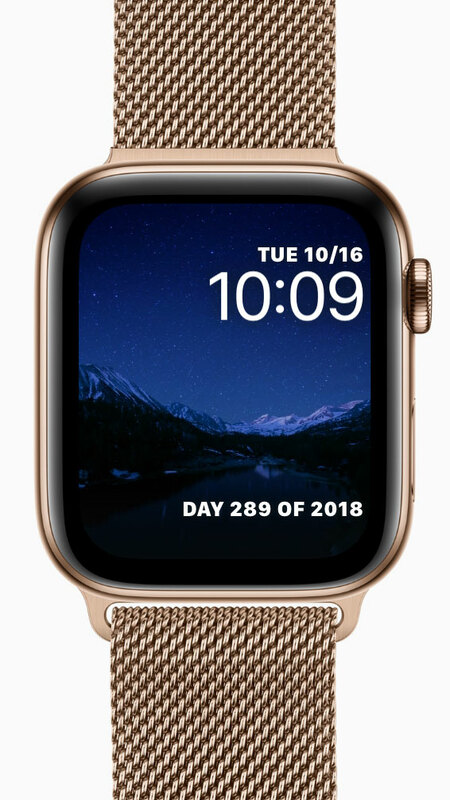 Apple Watch in Stainless Steel with Link Bracelet; Utility face with Better Day in large slot below time, featuring weekday and abbreviated month / day / year display. Other complications: World Clock x2. 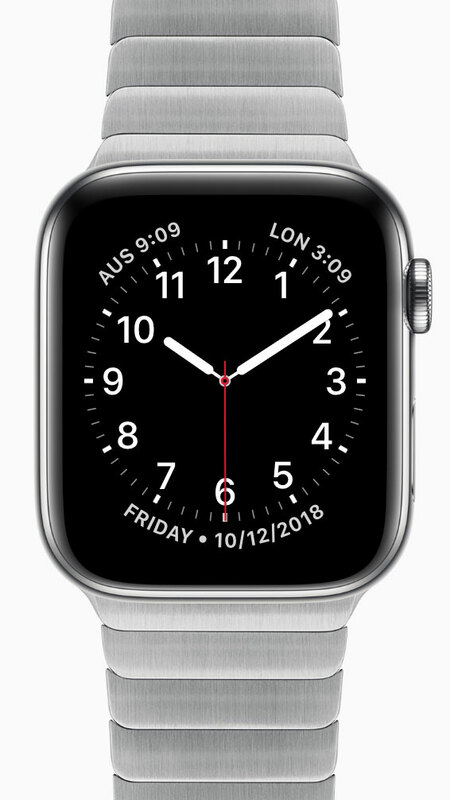 Apple Watch in Silver Aluminum with Black Sport Band; Infograph face with Better Day in center bezel slot and top right, featuring week and day number, year gauge, and full weekday / month / day in corner. Accent color: Light Orange. Other complications: World Clock, Sunrise/Sunset, Moon Phase. 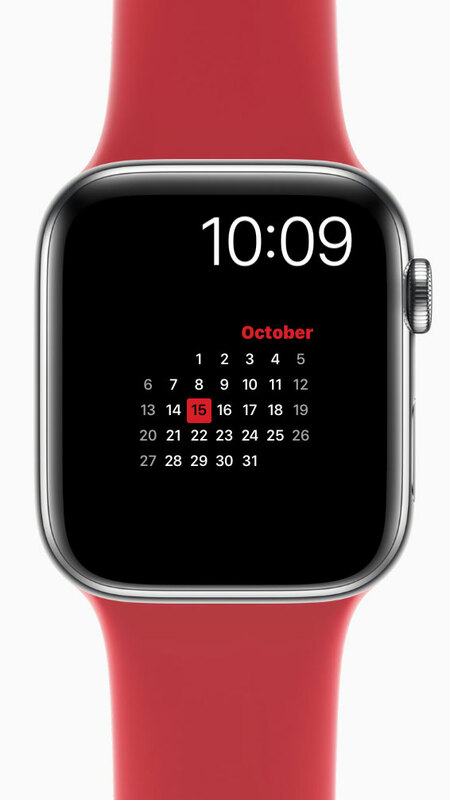 Apple Watch in Stainless Steel with (PRODUCT)RED Sport Band; Extra Large face in Multicolor with Better Day calendar in centerpiece slot. Accent color: Red. 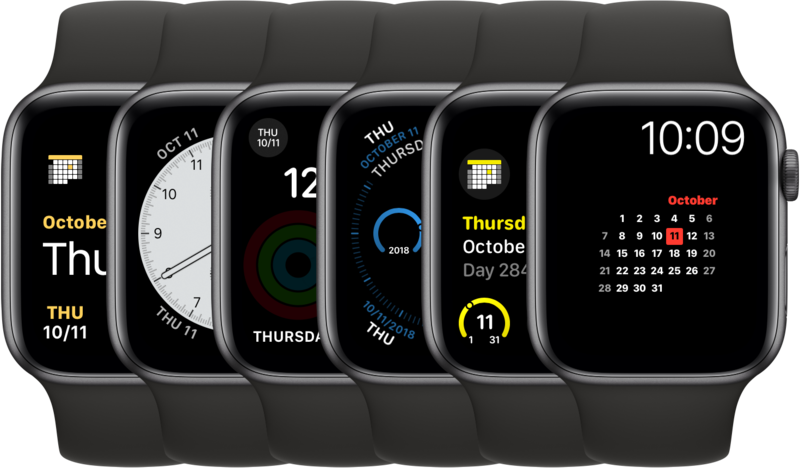 Apple Watch in Space Black Stainless Steel with Space Black Link Bracelet; Infograph face with Better Day in center bezel slot and top right, featuring full weekday / month / day, year gauge, and year / day of year in corner. Accent color: Calendar Red. 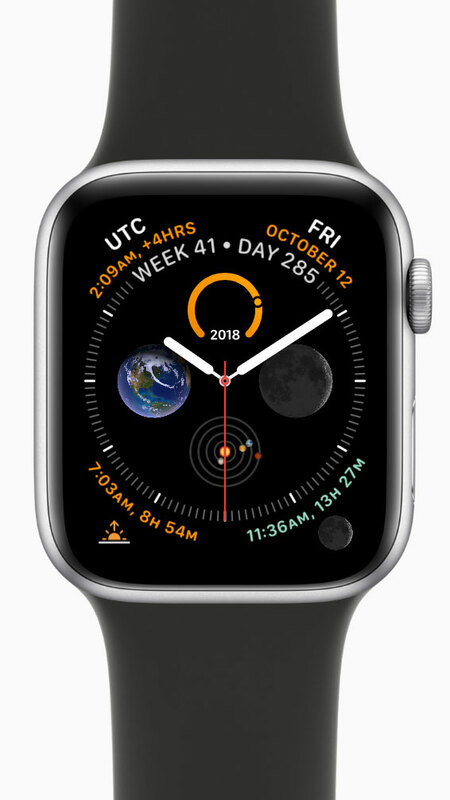 Other complications: Apple Calendar in top left; World Clock x3, Alarm, Sunrise/Sunset. Apple Watch in Gold Stainless Steel with Gold Milanese Loop. Timelapse face with bold text option. Better Day in above and below slots; small slot features weekday, month and day; large slot features full day of year description.